The following information was kindly contributed by John's great-grandson Peter, who is the current Chairman of the Arkell's Brewery. Thanks to his generosity, the Puslinch Historical Society is now in possession of John Arkell's ancestry, and a handsome history of the Brewery's first 150 years. THANK YOU PETER! John Arkell was a remarkable man. Born into a farming family in 1802 in Kempsford, South Gloucestershire, he emigrated to the New World in his late twenties and took with him a group of local people (including his first cousin Thomas)who sought a refuge from the tough conditions endured by agricultural folk at that time. It was a brave step. He died on 21st October, 1881, much mourned by a local community who always knew him as 'Honest John'. The Swindon Advertiser noted that shops were closed and blinds drawn as the funeral cortege passed to Stratton Church and added: "He was open and above board and Radical in all he said and did. The poor had lost a good friend, a plain and simple friend." The name Arkell originated in Holland, and was Van Arkell. John was the son of Thomas and Susan Iles. He married Elizabeth Hewer on May 20,1833 in Kempford, Gloucester, England. Members of both the Iles and Hewer families came with John to Puslinch. This respected pioneer of Puslinch Township. was a native of Berkshire, Eng. In Oct., 1830, with his first cousin, John Arkell, and F. W. Stone, he left England and spent winter in New York, coming with them to Puslinch in May, 1831. These three men picked out the tract of land now known as Farnham Plains, and of this Thomas took 600 acres. He afterwards sold 300 acres, but the remaining 300, being part of lots 7, 8, 9, 10, con. 9, he lived on until his death. He was reared on a farm in Idstone, Berkshire, and, having a thorough knowledge of agriculture, he made a very successful farmer. In live stock, he was a prominent breeder of Cotswold sheep and Shorthorn cattle. He was a member of the English Church; a Conservative in politics; a consistent and hard worker, devoting his time zealously to his business affairs and never seeking to hold office of any kind. He, however, was Magistrate for over thirty years, and always dealt justice in an unbiased manner. He d. in 1875 at the age of 73 years. He m. Isabelle Hume. Issue: William and Mary, deceased; Robert and Adam d.in infancy; Mrs. Henry Iles, Guelph; Peter, farmer at Teeswater, Bruce Co.; John and Thomas, who are both farmers at Arkell; Mrs. Blair Falconbridge, now living in Hamilton; and Henry. Henry Arkell has a continental reputation as a breeder and importer of Oxforddown sheep, being moreover, the first to introduce these sheep into America, and has always taken a strong interest in agricultural matters, being President of the Puslinch Agricultural Society for two years, and a Director for seventeen years. Besides the sheep Mr. Arkell has always bred extensively Shorthorn cattle, but latterly, however, he has added to these a small herd of Jerseys. 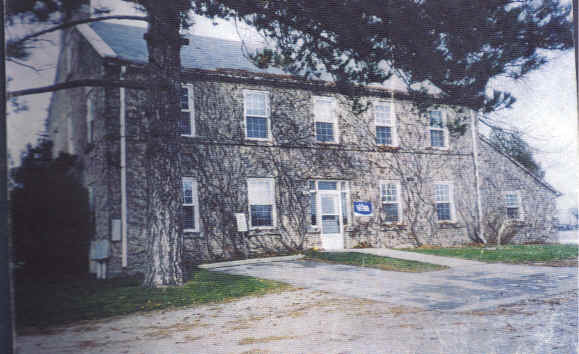 Mr. Arkell owns and operates the old homestead, consisting of 300 acres, and known as "Farnham Farm." In religion, he is a Presbyterian, and in politics a Conservative. He m. Jessie MacFarlane, in 1877, who d. in 1905. Issue: Thomas Reginald, who is attending O. A. C., reputation built by his father as one of the most successful stock raisers on the continent.